Whoa! 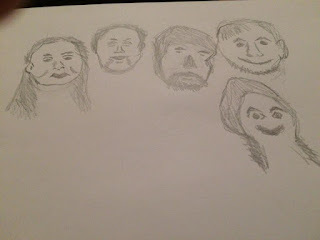 the challenge for yesterday was draw 5 faces in 5 minutes. 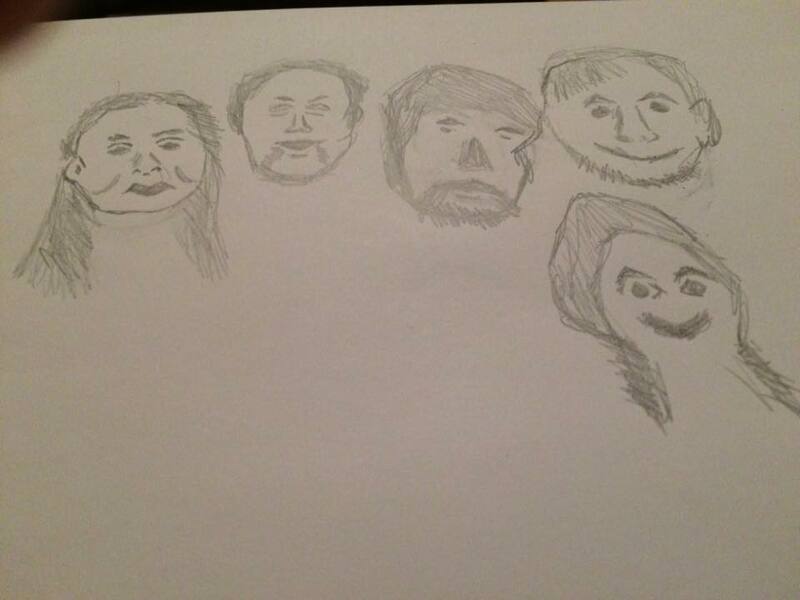 NOW I am no artist but its a challenge. No overthinking just do it! They are like the Walking Dead and I've just noticed one is missing an ear! Imagine you've written a novel and the only thing missing is the blurb - you know, the couple of paragraphs on the back that provide a short description of the book. Write the blurb of your book, tell the story or say what it's about. You can even write reviews of your previous work! If you're stuck for story ideas, maybe write the blurb for your autobiography. Read the new Booker Prize Winner for 2019. The story that she thought would never be printed! Surviving the bleak, boring but safe world of mediocrity she could have plucked the tale straight from Hades. It captures the essence of her life before the event that sent the world spiralling. Be ready for shocks and revelations! It’s a masterpiece for readers of all genres and those seeking the truth of what really happened to Stella Turner. There are two things I'd like to do well that's sing and draw. My singing is terrible! My grandson has been know to say "No singing please Nana" and my drawing is not much better. So when I read about the January creative challenge I signed up immediately. Small creative challenges for 31 days and I'm bound to amaze myself! Day 1 challenge: Make a certificate or trophy to award your future self. What would you like to achieve in 2018? So I powered up the PC and as a self-confessed technophobe wondered how to make a certificate, easy find a template and off you go. The templates weren't inspiring at all. Probably some fantastic ones if I knew where to look! 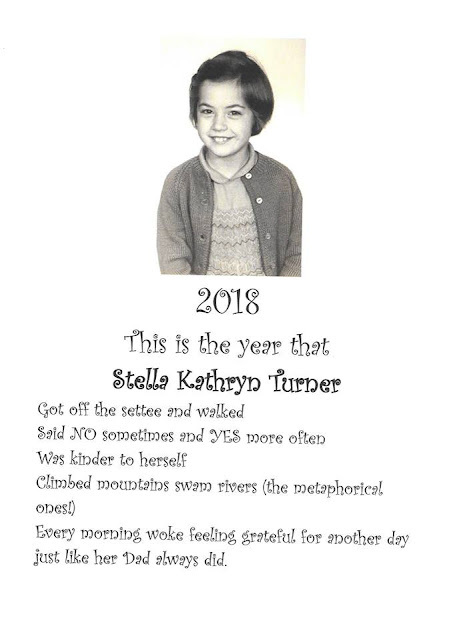 So I adapted one, added a photo and decided what was important for me to achieve in 2018. No resolutions that I churn out every single year! I did include moving more but decided not to mention eating less. Hopefully being active will make me more aware of what I'm scoffing down each day. The photo chosen was one from childhood to remind me that at 64 I still have lots more to learn. I'm still in awe that I managed to include the photo! I'm learning that fear should not hold me back! Press a few keys on the PC experiment! What could go wrong! Skype call to Poland and my son will fix it remotely like he's done before ❤. I'm sure on January 1st I'll have the same resolutions I have year after year. Eat less, move more! Be nicer! Write a novel! Learn Polish! This year I won a competition set by Deracine Magazine. The theme was 'intrusive thoughts' and I sent a surreal flash fiction I had written for Creative Writing class and was completely amazed when it was joint winner. Boosted my self confidence no end! I need to write more, definitely edit more and submit. Good things that has happened this year: lots of holidays. Visited my son and his wife in Poland that was magical. Stayed with Sal in Morecambe which is always relaxing, good food and great company. Stayed in Benidorm with the golfers. The men golf the women chill! Stayed at Ruthin Castle in Wales and Tortworth Court in Gloucestershire. Days out with Sal in London. 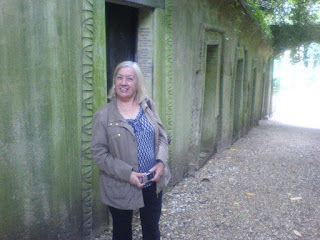 She has so much patience with my love of graveyards especially Highgate Cemetery! I've had lots of time to see my grandson Lenny develop and grow. He is six years old. He never fails to delight me with his knowledge and insights into life. I've always loved to be in the company of the young. At work I learnt so much from my colleagues and laughed so much as well. So bring it on 2018! May the world itself be less turbulent. I hope people will be more tolerant and show care for each other. Happy New Year everyone! He promised his wife, his children, Sister Mary Daphne who danced to his songs that he wouldn't return. He promised himself that last year would be the very last time. He travelled on the cross country train listening to the rhythm of the wheels on the track, music spurring him on. He'd walked the three miles from the station disbelieving where his feet were heading. He tried to change direction, he tried to stop at the artisan coffee shop and eat a bagel that was unique to the locality. Had fish eggs in it or some weird speciality, probably one of his better decisions to give that a miss. Sitting in the middle of the field crammed amongst the devotees, he looked around. Everyone seemed so much younger than him. His quest had begun on August 16th 1977. He remembered the sombre moment it was announced on the BBC news. He couldn't believe it, he wouldn't believe it. It was a hoax. The first one started to sing. It wasn't him. He'd sat through so many renderings over the years that he would instantly know the real one. Sister Mary Daphne tried to persuade him that his quest was ungodly, Elvis was dead. He knew that one day amongst all these impersonators the King would walk again. This Friday June 17th 2016 I'll be saying a final goodbye to my mum. She celebrated her 90th birthday on April 18th three days before the Queen celebrated her 90th birthday. 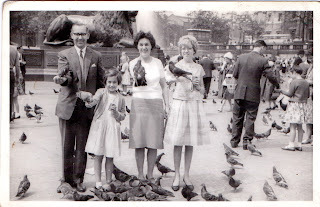 A week later after falling at home Mum went into hospital and died peacefully on June 2nd, the anniversary of the Queen's coronation. She never really recovered from my Dad dying a week before Christmas 2015 and my elder sister dying in 2014. I miss them all so much. My mum was very proud of all her grandchildren and her great grandson. 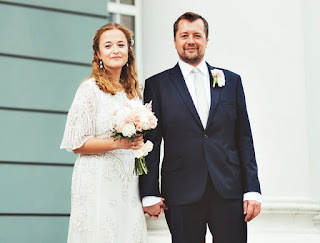 On May 21st 2016 my son Kevin married Adelina in Poland. My mum would have loved to have been there. She loved family occasions and gatherings. I look at my five year old grandson and marvel at the love I feel for him. This is what life is all about, the rites of passage. We'll be celebrating my mum's life this Friday with her family and friends and saying goodbye. She'll remain in our hearts and memories with love. David Bowie died January 10th 2016, I felt shocked that one of my musical heroes had died. no more Ziggy Stardust. Two days early I'd buried my true hero, my Dad. He died on 19th December 2015 aged 89, the same day as another legend, Jimmy Hill. For the last 3 years my Dad had been suffering with Alzheimer's, a cruel and horrible disease. Luckily my Dad still recognised me and responded to my name when people talked about me, right up to a week before his death. Several comments he made shows how cruel dementia is, he told me how proud he was of me but couldn't remember why. My dad was asking why my sister hadn't visited him, she died in 2014. I explained that she had passed away and he replied "You'd think someone would have told me" That still makes me smile as I told him we had. Humour kept me going alongside anger, guilt and tiredness. The Vicar paying tribute to my Dad said he was a fine and true gentleman, one of the old school, that was so true, my Dad was an honest and caring man. I will miss him everyday of my life as I do my sister. Condolences to the Bowie family and every other family that loses a loved one. The worry I have is that I will turn into a hermit and never leave the house so I've got lots of plans. Thursday I'm enrolling for a Creative Writing course and a Pilates class. I'm going to learn Polish, join a book club and of cause collect Len from school twice a week. I'll be watching plays and musicals at the local theatres within train travelling distance and be a lady that lunches.